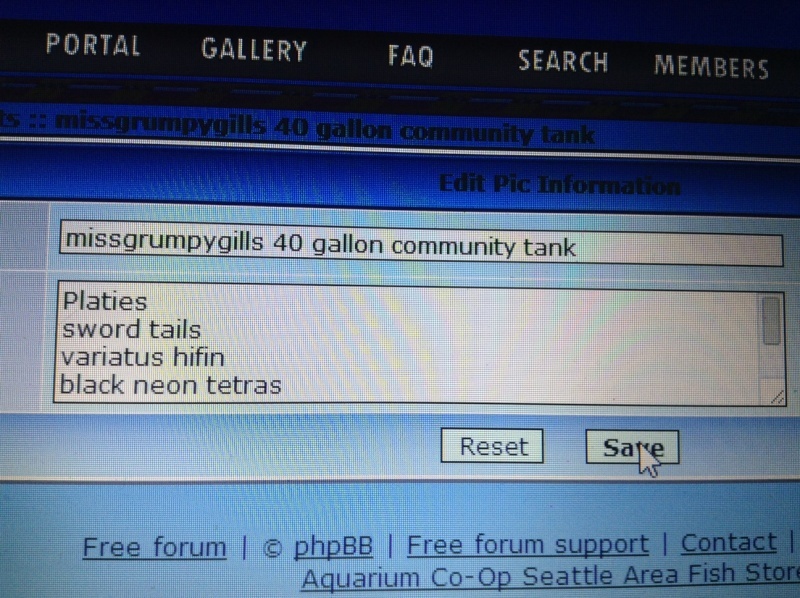 So I posted a tank shot on the gallery and it looks really weird um what happened and how can I take it down? IDK, I just checked out one of my pictures and couldn't figure out how to delete. 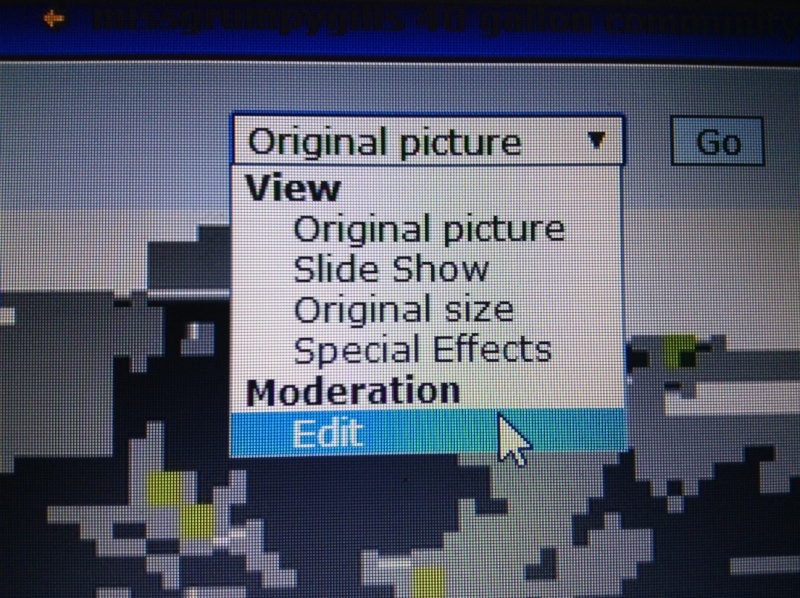 SirWesDragon was talking about how he deleted a picture in the gallery. Perhaps PM him. When you click on the drop down above your picture, is there a delete/edit link? Mine has one on my pictures, but i can not delete yours. When I press edit there is a reset and save button, but no delete. Reset does not do anything. 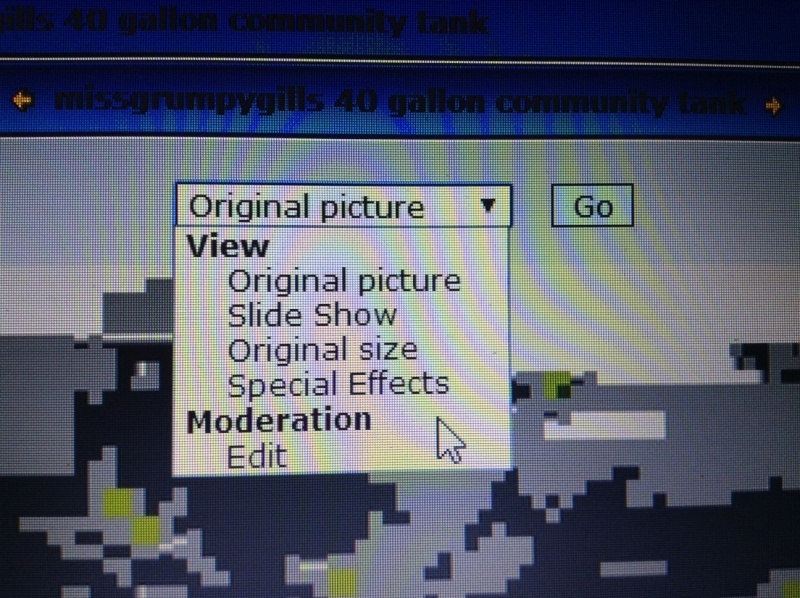 Sounds like we need admin to take a look (if you don't have "Delete" in your dropdown options). Here is how. Kinda hard to draw on phone. Click on white scroll bar option. Dont do anything but save. Now options are a little bit different. There is a delete option now. Delete. And confirm. Try it on mobile phone. Wow thats alot different look from mobile phone even with desktop view. Are logged on as the original poster of the picture. No one can delete your picture but you the OP. On your phone click the upload icon, then click choose file icon, then options with camera or files. Just take new picture, then save and upload. Of course you put your title and description. Finally got it lol and I have a delete option on PC now It must have really not liked that photo, I cropped the edges in the other photo, but I didn't this time. Well cory fixed it now. But those were the steps to do it before. Its fixed just checked it.